Campground resort buyers comment on the low maintenance and durable qualities of the Boulder Lodge. Building log cabins can be sound investment in the future of your property. Commercial small log cabin buyers will find the Boulder Lodge log cabin affordably priced and easy to assemble. You can choose from either a two-room with bath model or one-room model that really opens up the entire interior of the cabin. Perfectly sized for weekend retreats for families, the Boulder Lodge will become your customer’s favorite spot for rest and recreation. Visitors to your property will find that the sleeping area comfortably accommodates up to four people in bunk beds. A large living area and kitchen provide ample room to spread out and get comfortable. A storage loft above the bathroom keeps gear and extra supplies handy but out of the way. Guests will enjoy relaxing on the 6 foot x 20 foot front porch which is fully covered. 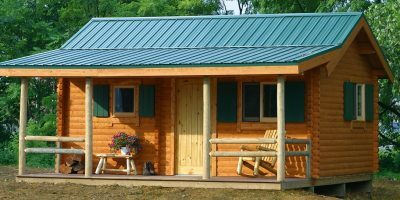 If you are looking for small log cabins with all the amenities of home, you may also want to consider the 424 square foot Outdoorsman log cabin that offers slightly more space. 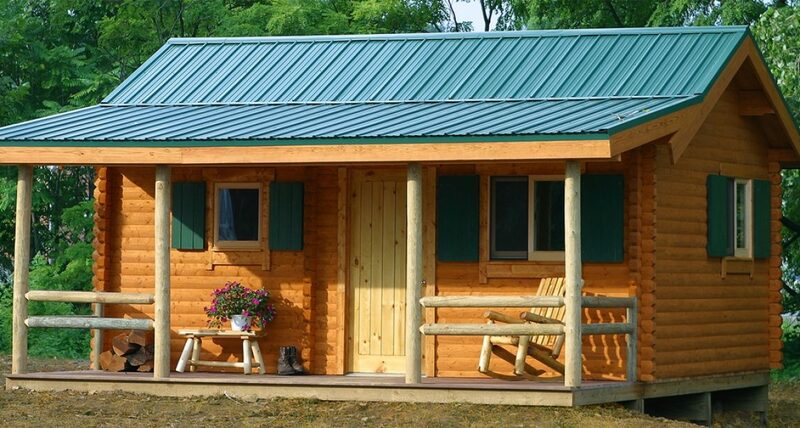 The Boulder Lodge Camping Log Cabin Kit is completely customizable like all Conestoga commercial log cabins. Please contact us today to start the conversation about turning your log cabin investment into profit. All pictures are for illustrative purposes only. Some pictured cabins may have been modified from the original floorplan layout or material list.